Cannabis is legal in this state for any purpose by adults over 21. Washington legalized medical marijuana in 1998. In 2012 Washington and Colorado werethe first states to legalize recreational marijuana. Washington tribes recognize the challenges and business opportunities of the cannabis industry, but most have not announced their interests or business plans. 39015 172nd Ave SE, Auburn WA 98092. Joint River is a cannabis retailer and the first in the state with a drive-through dispensary. The store is located on the Muckleshoot Indian Reserve, which is just outside the city limits of Auburn. Joint Rivers claims to be "The biggest and the best cannabis retailer in the Pacific Northwest!" 31912 Little Boston Rd NE, Kingston WA 98346. High Point Cannabis is a retail store that opened April 20, 2018 on reservation land of the Port Gamble S'klallam Tribe. The store operates in a portable building located next to the Gliding Eagle Market in Kingston, WA. 3009 E Portland Ave, Tacoma WA 98404. Medicine Creek Analytics is a test lab licensed by the Washington State Liquor and Cannabis Board (WSLCB) to test cannabis for potency, contaminants, pesticides and heavy metals. Medicine Creek is also accredited by the international standard ISO 17025. Commencement Bay Cannabis is the brand name of the Puyallup Tribe's dispensary / cannabis retail stores. 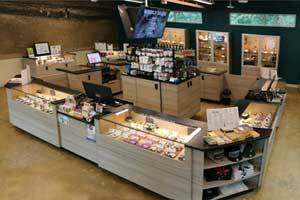 Each store sells marijuana flowers, buds, oils, topicals, edibles and accessories. 10 SE Squaxin Lane, Shelton WA 98584. In November 2015 Elevation became the first reservation cannabis store to open in the nation. 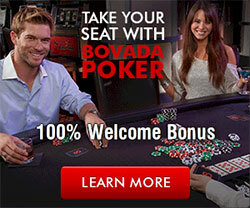 It is located across the street from their casinno, the Little Creek Casino Resort. PO Box 498, Suquamish WA 98392. 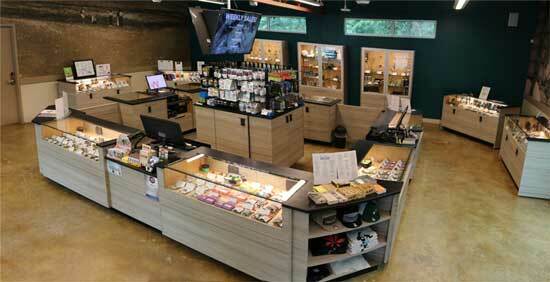 Agate Dreams is a cannabis store located on the Suquamish reservation in Kitsap County. In Sept 2015 the Suquamish Tribe was the first tribe in the nation to sign a marijuana compact with the state. Soon afterwards the tribe opened Agate Dreams on Dec 7, 2015. Tokem Cannabis is a cannabis processor owned by the Suquamish Tribe. 6406 Marine Dr, Tulalip WA 98271. 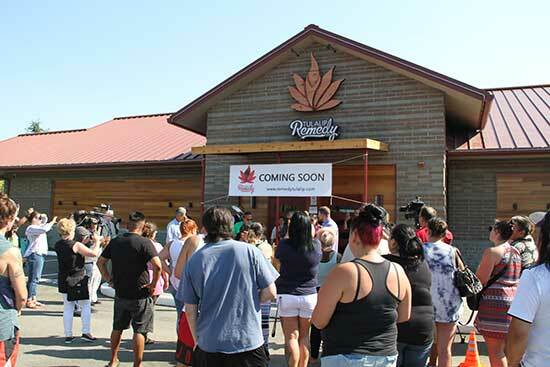 Remedy Tulalip is a cannabis retail store that opened August 10, 2018. It is partnered with other Native American tribes which are developing high quality brands of cannabis. There are 29 federally-recognized tribes in Washington. The DOJ marijuana policy on tribal reservations applies to these Washington tribes. Each is federally recognized as sovereign by the Bureau of Indian Affairs in the U.S. Interior Department. 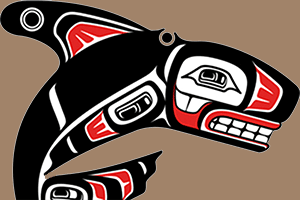 For a complete list of Washington tribes and their locations, see our page about Washington Tribes. 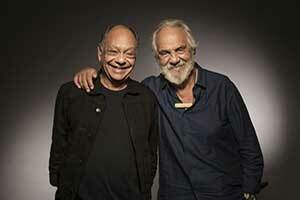 Cheech & Chong helped the Puyallup Tribe open their new cannabis store in Tacoma on Saturday 4/20. The two celebrities welcomed guests and signed autobraphs as the store celebrated its grand opening. The new Tacoma store is located across the street from the building site of the new Emerald Queen Casino now under construction. The casino will open December 2019. It will replace the current Emerald Queen. The Puyallup Tribe was the first tribe licensed in Washington to grow, test and sell cannabis. Cannabis is grown on the Puyallup reservation. Testing is performed at Medicine Creek Analytics in Fife. Commencement Bay Cannabis is the retail operation and currently has stores in Fife and Tacoma. The Colville Confederated Tribes have signed a compact with Washington State for the retail sales of marijuana on their reservation. The compact was negotiated between the Colville Business Council and the state Liquor and Cannabis Control Board, and was then signed by Gov. Jay Inslee. Under the terms of the compact, the Tribes will establish a new corporation to manage all marijuana sales. In addition, their Tribal Code has been updated to regulate all commercial marijuana activity. A new section Chapter 6-20 is titled "Commercial Marijuana Production, Processing, Retail Sales". "We are pleased to sign this agreement and look forward to the economic development opportunities it provides. The compact includes appropriate regulation of tribal businesses which sell marijuana, as well as effective enforcement procedures to assure all applicable laws are followed." "We now have the ability to collect our own revenue from tribal sales, and anticipate that this new funding source will help us continue to expand important government services for our membership." During the last two years the Colville Tribes have been growing industrial hemp under provisions of a Washington State research license and which the federal government banned on its Narcotics List. 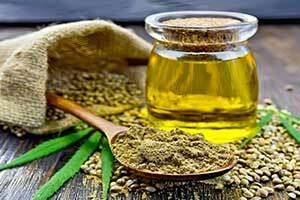 In November 2018 the federal government reclassified hemp as a farm product in the Agriculture Improvement Act of 2018, the farm bill passed in late 2018. 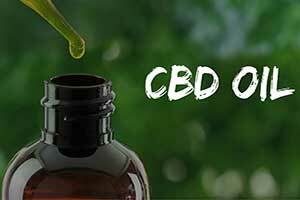 Last week the Colville Business Council voted for a test plot to evaluate the business potential of cannabidiol (CBD). "If we need to invest in the proper equipment or if you need to get someone in here who knows how to harvest it, we really need to take those steps now," said Jack Ferguson a member of the Colville Business Council. "It's looking like this might go somewhere. I'd like to be on the positive end of it." The Colville Confederated Tribes began growing industrial hemp two years ago on 60 acres of their reservation. They were one of only two applicants who received a 2017 state license to grow hemp. That first year was a success because it yielded more than a ton of hemp seeds. That was the largest production in the state. However, there was not enough time to prepare the soil prior to planting and the crop appeared more anemic than robust. 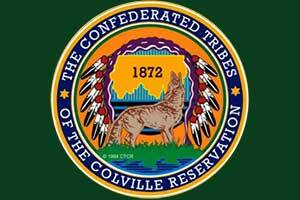 Last summer the Colville Confederated Tribes received their second license from the Washington State Department of Agriculture for "Grower/Processor/Marketer Combined". This second season they prepared the soil and doubled their acreage. They planted 120 acres along the Columbia River at Keller's Swawilla Basin. In December 2018 the Capital Press the Colville Tribes found a customer in Oregon for their hemp seed production. The customer was a hemp food company in Hood River Oregon named Hemp Northwest. The sale was the first ever Washington-grown hemp since it was legalized in 2014. Hemp Northwest opened in 2018. 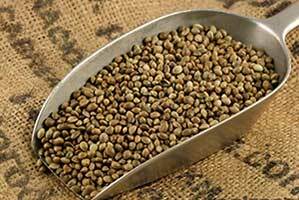 The company presses hemp seeds into vegetable oil and pulverizes the husks into protein powder. Their products are branded "Queen of Hearts Hemp Foods" and sold throughout the Northwest. "We were so excited when we connected with Colville," said Tonia Farman, The Hemp Northwest CEO of Hemp Northwest. "We want them to produce more. We would love to see them double their acreage. Midwest farmers are wonderful, but we would love to have the hemp grown by farmers regionally." The 2018 federal farm bill that was passed and signed into law in December opens nationwide commerce to the Colville Tribes and other hemp growers. This is a major advantage to the hemp industry over medical marijuana because medical marijuana is still illegal under federal law. 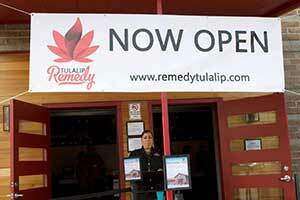 On Friday Remedy Tulalip opened. The marijuana store is owned by the Tulalip Tribes. Located on the tribe's land, this is the fourth marijuana dispensary of its kind to open in Washington state. The store will cater towards customers that are first time visitors in a cannabis store, marijuana connoisseurs, and tourists in the area. Customers to Remedy Tulalip are greeted by Cannabis Concierges. They are trained to answer customer questions and give recommendations on brands based on what the guest is looking for. The store has 73 employees. Members of the Tulalip Tribes make up about a third of the employees. Federal law still regards marijuana as a controlled substance. Many parts of Indian Country also enforce this law. However, enforcement of the federal law has not occurred on any of the tribal owned land in Washington state. In 2012 voters approved the measure that legalized marijuana in the state. Compacts have been agreed upon between the state and tribes over the regulations and other operation issues for the tribal owned marijuana stores. Washington tribes have not encountered federal enforcement. However, tribes in other states have. Raids have been conducted in Wisconsin, California, and South Dakota. These tribes have been prevented from selling, growing, and manufacturing both marijuana and hemp. Congress is attempting to clarify the law giving states official rights to decide on their own regarding marijuana in their states. The proposal has been named the Strengthening the Tenth Amendment Through Entrusting States Act. Under this Act the decision of the tribes to choose on marijuana and hemp issues will be left to the tribes. Their choices will be respected under their sovereignty. 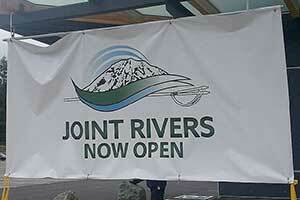 A new cannabis retail outlet, named Joint Rivers, has opened in Auburn, Washington. It the first of its kind. The store offers a drive thru window for their customers. The store offers many different kinds of marijuana. It is open from 7:00 a.m. to 11 p.m. daily. A grand opening celebration is being planned for in the future months. No official date has been announced. However, on July 30 Joint Rivers will host Vendors' Day. 30 vendors will be in attendance. There will also be food trucks and music. The store is owned by the Muckleshoot tribe. It is also located on their tribal land. They submitted their business application and other permits needed to run the business. The drive thru option is for customers that are not publicly open about their cannabis usage. Customers can submit their order on the Joint Rivers website. Then can pick up their order later at the store window without other people easily seeing them. The drive thru option is a first for the State of Washington. However, it is not the first in the country. In November 2017 Cannabis Marketplace opened in Las Vegas also offering a drive thru. Under the federal law, marijuana is still classified as an illegal substance. U.S. Attorney General previously rescinded the guidelines that allowed tribes to enforce their own sovereign laws regarding cannabis. However, tribes located in Washington have not had federal enforcement over their cannabis industry on their lands. Knowing that this could change, many tribal leaders are growing concerned. There is a proposed bill that would allow for states to legalize cannabis without facing backlash from the federal government. Known as the STATES act, it has recently been introduced to both the House and the Senate for consideration. Voters approved the legalization of marijuana for adults 21 and over in Washington in 2012. On July 01, 2014 recreational cannabis sales become legal in the state of Washington. 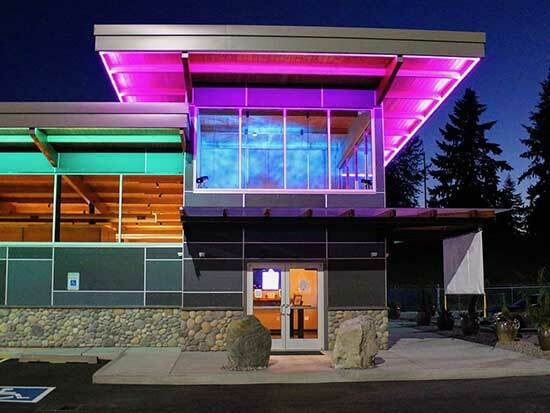 The Suquamish tribe decided to open a dispensary named Agate Dreams. It is located in Kitsap County. In October of the same year, the Cole Memo was produced. It was confirmed by the Department of Justice that it can be applied to the tribe's land. Soon after the Suquamish began putting together plans for the new dispensary. They actively began pursuing their options to build a business. A compact was signed between the state of Washington and the Suquamish tribe in September 2015. This was a historic moment since this was the first time a compact of this type was approved by both a tribe and a state. The dispensary is operated by Squamish Evergreen Corporation and Port Madison Enterprises. It follows the same regulations and rules as a non-tribal owned dispensaries. There is no state sales tax on the cannabis sold. However there is the equivalent tribal tax. This is applied to all purchases made by non-tribal members on the products. The tribal government benefits from the profits and tax revenue earned at the store. The money is used to provide health services for tribal members and college education. They are also intending to use the money for the purchase of land. Future plans for the business will be to expand their Tokem Cannabis brand. This includes the distribution on marijuana and processing of the plants. The Washington Liquor and Cannabis Board has approved a marijuana compact for the Port Gamble S'Klallam Tribe to sale marijuana through a retail store to be named High Point. The store will begin in a temporary building at the corner of Little Boston Road and Hansville Road (just north of the tribe's Gliding Eagle Market). A permanent building will be built at that location by the end of the year. High Point will begin selling marijuana March 3, 2018. The regulation for the selling, production, and testing in the laboratory for marijuana are being set. However, it is not official until Gov. Jay Inslee signs the compact. It is possible that could happen sometime this week. Other future plans include the production, testing, and processing of marijuana. A facility will be built next to The Point Casino and Hotel. That is located off of Hansvill Road and also owned by the tribe. In 2015 a bill was passed by the state that allows for tribal compacts over marijuana to be made. Adults 21 and older can buy marijuana from the Port Gamble S'Klallam Tribe. That regulation was passed by the tribe las year when they started in talks with the state for the compact. The Liquor and Cannabis Board along with tribal police will monitor and inspect the store. These will be done to make sure that people under 21 will not be able to buy the marijuana. Squaxin Island Tribe legalized marijuana on their reservation and signed a 10-year compact with the Washington State Liquor and Cannabis Board. In November 2015 the tribe opened the first reservation cannabis store in the country. Their store is named "Elevation" and is located across the street from their casinno, the Little Creek Casino Resort. The address is 90 W State Route 108, Shelton, Washington 98584. The Suquamish Indians legalized marijuana on their reservation and signed the first tribal marijuana compact in the country. It is a 10-year agreement with the Washington State Liquor and Cannabis Board that allows the tribe to grow, process and sell marijuana statewide. The Suquamish have one retail outlet located at 15915 State Highway 305 NE, Poulsbo, Washington, 98370. They intend to add more locations in time. The Puyallup Tribe is third tribe in Washington to enter into a cannabis business. Their first step was to open a test lab to insure quality of their product by testing for contaminants, pesticides and heavy metals. The next step to grow medical cannabis. The tribe announced this crop will stay on their reservation for tribal members with cancer, but down the road the trbe may become a supplier toe the state's reacreational marijuana market. Yakama Nation prohibits recreational marijuana on their 1.2 million-acre reservation even though it is legal off reservation. Tribe attorney George Colby said, "... the citizens of Washington lack the authority to legalize recreational pot use on tribal lands. We want to put out public information for those that want to grow, sell and distribute that they are not welcome on Yakama Nation lands." The Washington State Liquor and Cannabis Board recognizes the tribe's position on marijuana and has added an application rule to notify the Yakama Nation tribal office if anyone applies for a marijuana permit on the reservation.